Doctors and rehabilitation therapists cite prescription painkiller abuse as one of the hardest addictions to treat. About half of heroin addicts claim their painkiller addiction started with prescription painkillers, and one in ten high school seniors in the United States has abused prescription painkillers in the last year. Painkillers are incredibly effective at reducing physical pain of all kinds. They are often prescribed to treat those recovering from surgical interventions or acute injuries. People who suffer from chronic pain conditions such as arthritis and fibromyalgia get relief from prescription painkillers. But, these substances are highly addictive, and sometimes people find themselves using them off-label to get the same analgesic effect. Painkillers and opioid derivatives work by blocking specific nerve receptors in the brain and also by activating the neurotransmitter dopamine. Once dopamine is activated, users experience a feeling of euphoria, or a rush or ‘high.’ This feeling is what users become hooked to, and it is very hard to kick the habit once they are smitten with this feeling. Doctor shopping is the practice of seeing numerous doctors for the same problem in order to obtain more prescription painkillers. If a person receives several painkillers from different doctors at once, this is incredibly dangerous. Neither doctor can accurately supervise their patient’s habits, and this can interfere with their care, and also lead to increased risk of overdose. If a person frequently ‘loses’ their prescription or visits more than one doctor at once for the same health problem, they are probably doctor shopping and are addicted to painkillers. What are the types of painkillers and which ones are the most addictive? Vicodin, or hydrocodone, and oxycontin are some of the most widely abused painkillers in the United States. These drugs are the most commonly prescribed and are more available than other painkillers. Over half of people who have abused painkillers or are actively addicted to painkillers receive them from a friend or an acquaintance. Only 18% of addicts get their drug of choice from a doctor through a legal prescription. What is the timeline for prescription painkiller withdrawal? Addicts may experience long-term psychological problems related to prescription painkiller abuse, such as depression and anxiety. Fortunately, these problems can be successfully treated with antidepressants and therapy. What are the dangers of mixing painkillers with alcohol? Mixing alcohol and painkillers enhances the effects of both substances, and combining them has lead to a rise in overdose deaths in the United States. Call 911 if you suspect a drug overdose immediately. Even if a person survives a drug overdose, they can experience lifelong brain damage. It is crucial to get them the help they need before they experience a seizure or a coma. People who are addicted to prescription painkillers need integrated, intense care to help them beat this incredibly difficult addiction. Because a lot of people who abuse painkillers also genuinely need pain management for severe injuries and illnesses, they require a specialized, customized treatment plan with a team of doctors and therapists. They may be able to receive lower doses of painkillers under a doctor’s supervision at an inpatient detox facility. Or get relief from non-opioid analgesics. A detox facility can help them manage the painful symptoms of withdrawal with legal, safe prescription medications, and they can still get help for any chronic pain they may have. Despite the serious nature of prescription painkiller addiction, with help from supportive, trained professionals and counselors, people can make a full recovery from the scourge of addiction. The abuse of prescription painkillers has become a serious problem in our country. And the men who find themselves addicted to these dangerous prescription medications often never believed they could find themselves in the situation they do—especially since many of them started with a prescription from their doctor or physician. However, the abuse of painkillers is not without consequences. The plain truth is these types of medications can kill in overdose. Windward Way frequently receives referrals to our addiction treatment program to provide help for men 18 – 45 addicted to opioid prescription painkillers. An itchy skin. Nearly all opioid-based painkiller drugs have this side effect. A person hides or keeps multiple pill bottles. An abuser of these types of drugs can appear sleepy, or paradoxically “wired” and energetic. The drug abuser is always short of money, begs, borrows or steals to sustain his habit. Frequent use of laxatives. Opiate use causes constipation and slows the bowel. Prescription painkillers like OxyContin®, Percocet®, Opana®, Fentanyl, or Vicodin® are all dangerous to abuse. When used appropriately, they can serve effectively as a way to greatly reduce the pain a patient may be undergoing for a related illness. However, if abused, a full-blown painkiller addiction is usually not far behind. 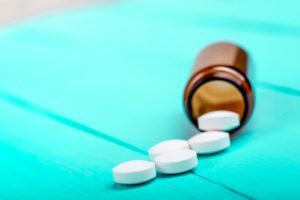 Because these opioid-based medications work through affecting the receptors in the brain that influence comfort and reward, people who have been using prescription painkillers often find themselves using more than what was prescribed to them. Withdrawal from painkillers can also become intensely uncomfortable—insomnia, profuse sweating, pain, intense anxiety, vomiting, diarrhea, and drug craving are not at all uncommon. Windward Way’s clinically supervised painkiller detox center and drug rehab can give you precisely the assistance you need to get off these prescription medications. We’re standing by right now to customize a plan for you, the Windward Way. Just call 855-491-7694.